It's evil. Every time we walk by it's like, "Oh, look! Cheesy Poofs! Let me just have a handful." One handful turns into 20 and next thing you know, I don't want to eat the dinner I just finished making. 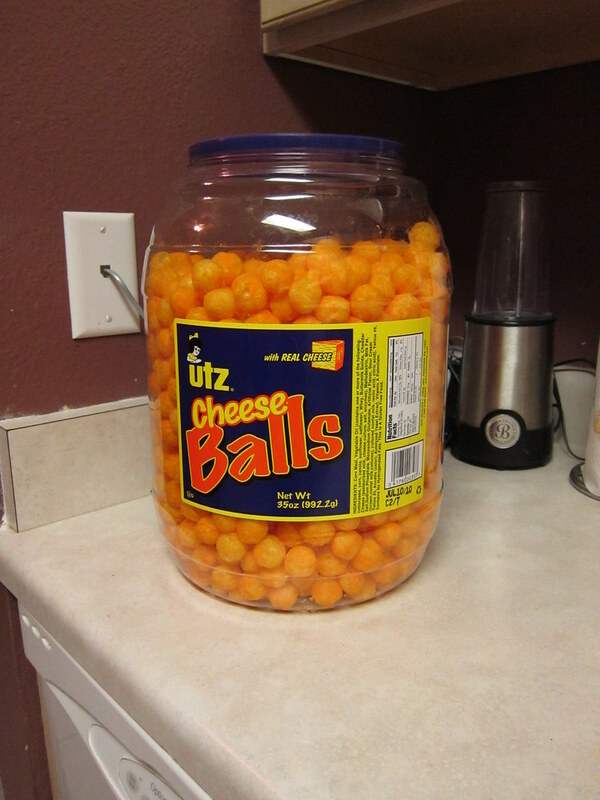 lol cheesy poofs remind me of cartman from south park. I can do his voice perfectly! We have the same thing going on with jelly beans at our house right now! Before I know it, I've only eaten "one or two" and my stomach is hating me! Yum. I love cheese puffs. And cheese popcorn.